The Greek capital, together with its suburbs and the neighboring city of Piraeus, forms an integrated residential complex (the main urban planning complex of the capital) numbering about 4 million inhabitants. The entire prefecture has witnessed the development of modern transportation infrastructure catering to residents and visitors in a fast and reliable way. The International Airport of Athens El. 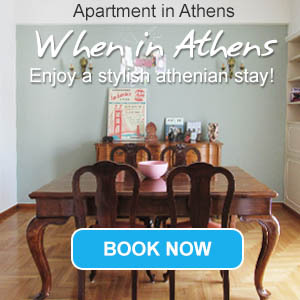 Venizelos is located in the region of Spata, 30 km from the centre of Athens. It receives many domestic and international flights and it has regular transportation to the centre of Athens, the port of Piraeus and the port of Rafina 24 hours a day/ 7 days a week. There is huge network of buses and trolleys (electric buses) that operates in Athens and its suburbs. Buses are blue in color, while trolleys are yellow. They usually operate from 6:00 am until 11:00 pm, with the exception of some buses that operate 24 hours, such as the Express buses from Athens Airport to Syntagma or to the port of Piraeus. Tickets for buses and trolleybuses can be bought in the kiosks around the town. The metro is the easiest and fastest means of transportation in Athens. It connects the most popular spots of the town that a tourist will need to visit. It also connects the centre of Athens to the port of Piraeus (change in green line 1) and the airport of Athens (through blue line 3). Inaugurated in 2001, the metro of Athens is modern and itineraries are very frequent, every 3 and 5 min. The metro works from 5:00 am till midnight. Although it serves a large part of the town and its suburbs, the network is still enlarged with new stations. - Athens (Syntagma)- Voula, running through Nea Smyrni, Paleo Faliro, Alimos, Helliniko, Glyfada. - Athens (Peace and Friendship Stadium in Neo Faliro)- Voula, running through Nea Smyrni, Paleo Faliro, Alimos, Helliniko, Glyfada. It accommodates travel to/from Athens and the Eleftherios Venizelos Athens International Airport and also travel between Athens and Corinth (Kiato). Itineraries are daily and almost every hour. All taxis are yellow and equipped with a meter displaying the fare. Taxis in Athens are yellow and can be found anytime, anywhere. There are taxi ranks outside the airport, the train station, the metro stations, hospitals, museums, theaters, almost everywhere. The interesting thing about the Athenian taxis is the fact that one can be picked up by a taxi while there already is a passenger in it. Every passenger will be charged the fare shown on the meter. The fares are doubled between midnight and 5 am. There is an extra fee when entering a taxi from the port, the airport, the rail station and the KTEL bus station. If you want to stop a taxi in Athens, just step on the side of the road and raise your hand. Attiki Odos is a cutting-edge motorway in Europe linking the town of Elefsina (western Attica) to the Eleftherios Venizelos Athens International Airport (Spata, eastern Attica). Part of the Athens peripheral ring road, it circumvents Athens and offers 27 main and secondary interchanges for entrance and exit into/from the capital. To enter the motorway, tolls are paid. The KTEL buses are connecting suburban places and towns around Greece. Athens has KTEL buses to almost all towns around the country. In fact, KTEL buses are more popular to travel in Greece than train, although they are more expensive. The two central KTEL bus stations in Athens are in Kifissos and Liossion streets. The KTEL station in Kifissos is the most popular and serves buses to many destinations. The Liossion KTEL station serves buses to central Greece and few destinations in northern Greece.